Wouldn’t it be great if you could eliminate your chronic pain with your own cells? It may sound a bit like science fiction, but thanks to regenerative medicine, it’s becoming a reality. At your local Stem Cell therapy clinic – Denver Physical Medicine, we are excited to offer regenerative medicine in Denver as a solution to chronic and acute pain. We’ve found that our patients have a lot of questions regarding this revolutionary new technology, so we decided to put together this helpful FAQ to answer some of the ones we are asked most often. Of course, if you can’t find the answer you’re looking for here or if you’d like to discuss regenerative medicine with an expert, you’re more than welcome to give us a call anytime. What is the Regenerative Medicine Definition? In the simplest terms, regenerative medicine is a procedure where your own stem cells are extracted and spun. This separates good cells from bad cells. The good cells are then re-injected into your body where they can continue to grow. Stem cells are undifferentiated, meaning that they can develop into any type of cell. Adult stem cells are already present in the developed tissue, including blood, muscles, bone, skin and your brain. They are almost constantly dividing and making new specialized cells to replace cells that have been damaged or are lifeless. With stem cell therapy, it is possible to rebuild damaged tissue. At our Denver Stem cell Clinic we use Precision Image Guided Injections to ensure Top Results. Studies have shown that the potential applications for stem cells and regenerative medicine are numerous. In the realm of spine and joint areas, regenerative therapy can be used to treat many instances of both chronic and acute pain. Through regenerative medicine, it is often possible to manage pain by healing underlying tissue damage. Conditions that can often be treated by regenerative medicine include Knee pain, shoulder pain, hip pain, herniated discs, osteoarthritis, compression fractures, plantar fasciitis, ankle pain, spinal stenosis and many others. Only a Doctor experienced in Stem Cell therapy can determine whether regenerative medicine is right for you. At Denver Physical Medicine & Rehab, we are proud to offer regenerative medicine as a means of helping our patients live healthy, pain-free lives. To learn more about regenerative medicine in Denver or to schedule a consultation to learn whether this revolutionary treatment is right for you, please call 303-757-7280. 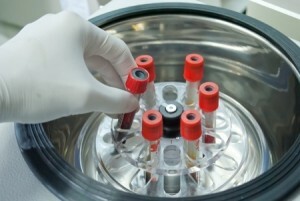 What Is Stem Cell Therapy & Regenerative Medicine?